That's beautiful. 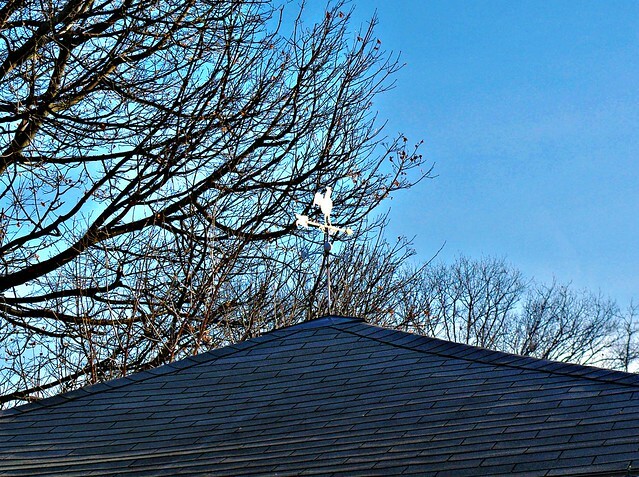 The clear sky, the metal rooster and then the branches. I too had a tree today on my WW.